Sakura is a data explorer for X-ray absorption spectroscopy (XAS) data. It reads data captured on the XAS beamline at the Australian Synchrotron. 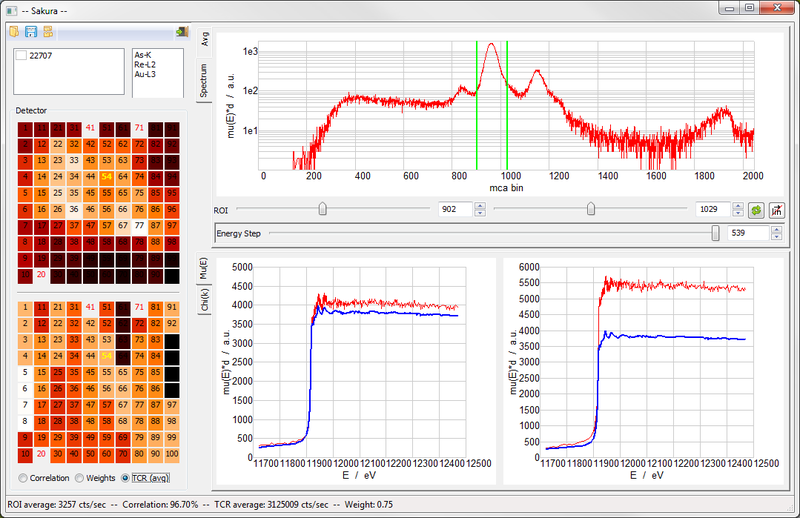 Reads step-mode (.mda file) and mapping-mode data (.mda+.nc files) generated at the Australian Synchrotron's XAS beamline. To learn more, visit the documentation at http://sakura.readthedocs.org.